The raise is a windfall from Costco’s savings due to U.S. federal corporate tax cuts that took effect this year. Costco also reported that its profit jumped about 7 percent in its fiscal third quarter to $750 million or $1.70 a share, matching Wall Street analyst expectations. Costco’s hourly employees are the latest U.S. retail workers to get a boost from the Trump tax cuts. On June 11, Costco will increase the starting wage for its U.S. employees by $1 to as much as $14.50 an hour, while other hourly wage rates will increase 25 to 50 cents an hour. The raise, to be paid for with part of Costco’s savings from U.S. federal corporate tax cuts that took effect this year, will go to upwards of 130,000 U.S. employees, costing the company about $110 million to $120 million a year before taxes, Costco chief financial officer Richard Galanti said during the company’s fiscal third quarter earnings report Thursday. The warehouse club retailer hauled in $32.36 billion in sales and membership revenue in the 12-weeks ended May 13, a 12.1 percent increase over the same period in 2017. It was the company’s fourth consecutive quarter of double-digit sales growth. Costco profit jumped about 7 percent in its fiscal third quarter to $750 million or $1.70 a share, matching analyst expectations. But investors bid down Costco shares 2 percent in after-hours trading, where they finished at $194.23. The company’s profit margins were slightly slimmer than expected as rising freight costs took a toll. The wage increases will help Costco keep to its strategy of offering employees total compensation that executive say leads the retail industry. Costco competitors including Target and Walmart announced wage increases and bonuses for their employees tied to the tax cuts earlier this year. Galanti did not respond to a request for comment on the benefits, if any, planned for salaried employees. 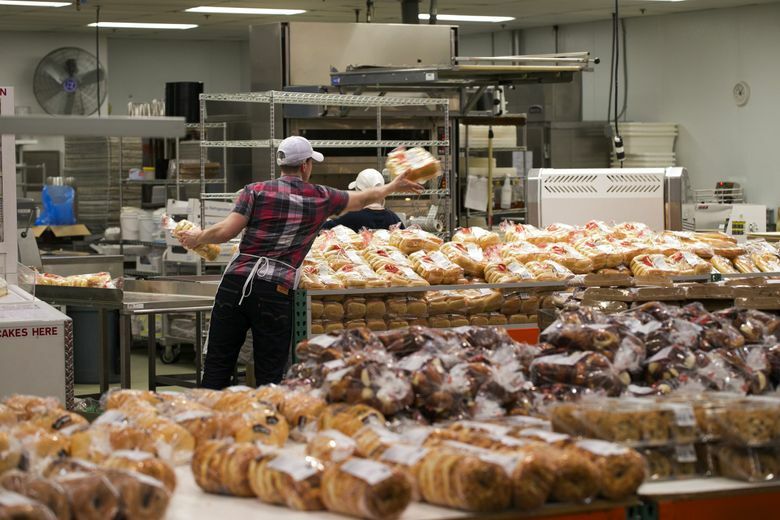 About 90 percent of Costco’s employees are paid hourly, and earn $22.50 an hour, on average, with access to health insurance benefits for which the company pays 90 percent of annual costs, Galanti said in March. Costco reported 231,000 employees in its 2017 annual report – 133,000 full-time and 98,000 part-time – numbers that have surely increased as it continues opening new warehouses. It had 750 at the end of the last quarter and planned to open a net 15 new locations in the current quarter. Some 54 percent of Costco employees in a recent PayScale survey thought their compensation was fair, compared to 21 percent of all employees in the survey. That level was enough to rank Costco 18th on PayScale’s list of fair payers. PayScale notes that perception is reality when it comes to pay, particularly in a tight job market. “Investing in how you pay and how you communicate pay is more important than it’s ever been for your organization,” the company said as part of its pay fairness report. Costco is indeed trying to communicate its pay practices, and relative compensation, more clearly to employees. In an April internal Costco newsletter, Pat Callans, senior vice president of human resources and risk management, addressed the announcements from Target and Walmart – though he didn’t mention them by name. Callans mentioned these and other benefits, including health care, and suggested that newer employees who don’t realize their value or are not yet eligible for them should be reminded by management teams. “It is our total compensation, not just our starting wage, that sets us apart from our retail competition,” he wrote. On Thursday, Galanti suggested that the tax-cut related wage increase would likely be an addition to, rather than a replacement of, the company’s regular wage increases. Despite having a small union-represented workforce of about 15,600 people, Costco regularly negotiates a new agreement with employees every three years with prescribed annual wage increases. The next such agreement is due in March 2019. “We looked at it independent of that,” Galanti said of the June 11 increases. Galanti said Costco’s third-quarter effective U.S. tax rate was 28.8 percent down from what would have been a rate of 35.3 percent a year earlier, but for an $82 million tax benefit the company realized as part of a $7 a share special dividend. Galanti said he expects Costco’s tax rate in its 2019 fiscal year to be about 28 percent. The tax cut will save Costco in the low $300 million range a year, Galanti said. “I don’t think it’s been life-changing for any company,” he said, noting that the cost of the company’s special dividends has been in the range of $2 billion to $3 billion. Costco continues to return cash to shareholders through stock repurchases totaling $55 million in the third quarter and dividends. The company announced a quarterly dividend of 57 cents a share in April, up from the 50 cent per share dividends it had issued each of the previous four quarters.